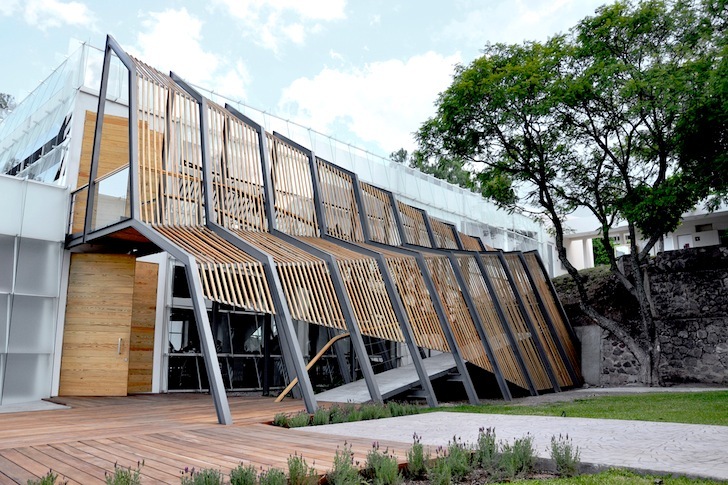 This isn't the first time that SHINE Architecture has been given a disused space in México and transformed it into an inspiring new educational center - previously the team designed a school for underprivileged children. 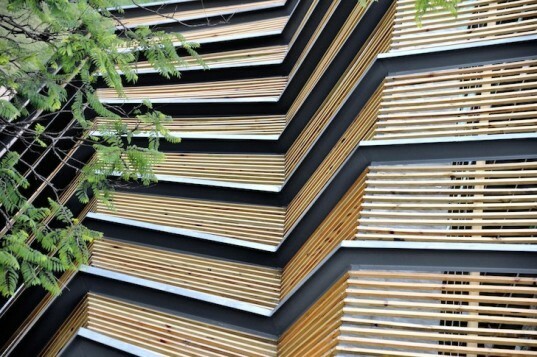 Their latest retrofit on the Tec de Monterrey Campus in León is a blank slate in which architecture and design students can launch their wildest creative ideas. And thanks to extensive pre-construction parametric modeling, the project is assured to receive the maximum amount of daylight and natural ventilation. SHINE has created this new design studio as a study in bioclimatic architecture, which is ideal for the students who will spend so much of their time either in the first floor studio or in the more public modeling spaces upstairs. In addition to an iconic appendicular transitional space outdoors made primarily of wood, the building is distinguished by flake glazing that ranges from translucent to transparent to help control natural light. Further contributing to daylighting and also natural ventilation is a giant interior atrium. Combined with other thermal, visual and acoustic details, these interventions help to ensure that the retrofitted building is more energy efficient than many of the other buildings on campus, but not without paying respects to the existing ambience.